Here’s the Summary for September 5, 2014 (for previous summary, please see Summary for September 4, 2014). 1. During negotiations of the contact group between the representatives of Ukraine, the DNR and LNR [Donetsk– and Luhansk People’s Republics] with the participation of the OSCE, a protocol on the ceasefire starting at 6:00 PM EEST today was signed. As planned, any further negotiations on the resolution of the conflict must be conducted under the terms of the armistice. This could be entirely attributed as good news if only terrorist leaders weren’t quick to announce that the ceasefire didn’t mean that the course of the annexation of the DNR and LNR from Ukraine would change in any way. Here it is difficult to comment. Anyone is clear on the fact that Putin doesn’t [even] contemplate losing Donbas, but unfortunately, because the truce can only be temporary–there is very little hope for a peaceful resolution [of the conflict]. Unless, of course, we decided to say goodbye to this region, and later–to at least six more oblasts [regions] of Ukraine. 2. According to the IR group, the situation remains far from stable in the Donbas areas liberated from the terrorists. Yesterday’s separatist-terrorists and their henchmen – from small local officials and criminals to law enforcement officers – who remained unpunished for treason, keep crawling out of every crack. All of this smalltime riff raft was a bit relieved when they saw that no one was taking them in hand or making them answer to their past sins. And so they have now begun taking up their old tricks, that is, sh*tting on everything (so far on the sly). If the special services and the Interior Ministry don’t begin to take urgent action–we will be unpleasantly surprised very soon how quickly one can lose all the fruit of local victories. 3. The Czech President Milos Zeman does not consider the actions of Russia in eastern Ukraine [to be] an aggression. According to him, several hundred “Russian volunteers” “cannot be regarded as a Russian invasion.” “We must honestly admit that a civil war is underway in Ukraine,” this aging wonder blurted out. We, Ukrainians, are accustomed to political prostitution in our political environment. But the president of the Czech Republic is now showing [he’s at] master-class level, our native political prostitutes have are a far cry from him. But just recently, M. Zeman himself argued that the Western countries would have to take “serious actions,” to the point of sending NATO troops, “if Russia attempts to seize new territories of Ukraine.” “I’m not a combat hawk, but an attempt to seize the eastern territories of Ukraine for me–is a line that cannot be crossed,” he prophesized. Yes, Mr. Zeman, you are definitely not a hawk. And not even a chicken. You remind [me] of something from the reptile class. And personally, I’m really glad that an immense number of Czechs–and I know this for a fact–do not share your Putinophile and Ukrainophobic statements. As they say in your beloved Russia, every family has its black sheep. 1. And again on the main news for today–the cease-fire in Donbas. Let’s be honest: we found out in June what cease-fire agreements with the terrorists are worth. The pause is guaranteed to be used by them to build up their strength, transfer new weapons and units from Russia, and prepare for the offensive. 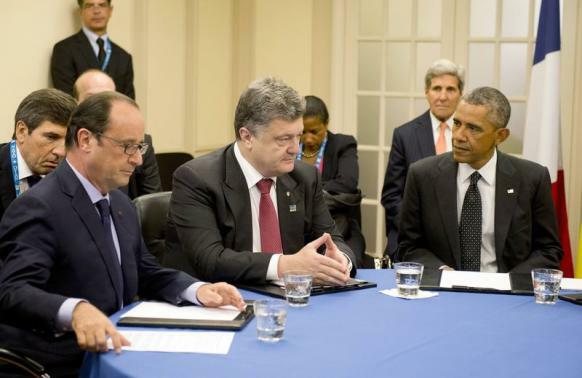 And it is possible that the “truce” itself will only be observed by the Ukrainian side again. But today, the truce is badly needed by our troops as well. Vigorous invasion of Ukraine by the Russian army has not gone unnoticed–our troops, which were exhausted a few months ago in combat already, urgently need the respite. I won’t paint [the picture] as to how bad everything is–there are enough craftsmen [doing that] without me. But [I] very much hope that our military leadership will use this truce wisely. If, of course, the Ukrainian authorities still have the will to fight for their land. 2. Today, the DNR once again proved its African [stereotype-casting] core. 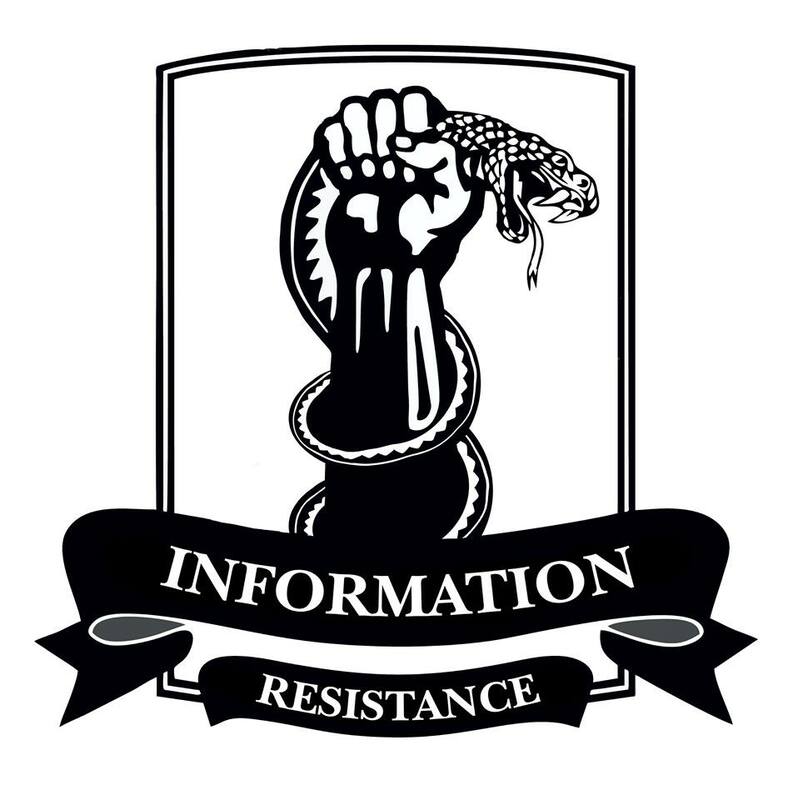 Just as the leadership of this terrorist organization went to the talks in Minsk, an attempted “coup d’etat of the DNR” took place, as reported by the “minister of state security of the DNR” Lenka [diminutive from Leonid] Baranov. According to Baranov, the rogue Vladimir Akinfeev, a buddy and a drinking companion of the current leaders of the DNR, tried to seize “power” in Donetsk. He “has removed several ministers,” issued arrest warrants for “DNR activists” and put Baranov’s secretary in a basement (as I understand it, Baranov’s secretary is a symbol of “state power” in the “DNR”). What can I say? It’s easy to understand Vovka Akinfeev: he wants to steer [the ship], too. If this is acceptable for every huckster, why can’t he do it? So, gentlemen, “prime ministers of the DNR,” be careful in the sauna [when] facing your backs to your accomplices. Anything can happen. 3. The Italian Prime Minister Matteo Rentsi called on NATO to “decisively support Ukraine,” and promised that his country will sell 90 armored Iveco vehicles to Kyiv. Yes, 90 ACVs [armored combat vehicles] (even as good as Iveco) will not save the situation with re-equipment of the Ukrainian army. But this is a very important achievement for Kyiv: for the first time since the beginning of the conflict in Donbas, a Western country agreed to sell us not the “dual-use” or “purely defensive” product, but “fully adequate” military equipment. Therefore, I don’t even know in what area this success is more pronounced: in the military-technical or military-political. 4. And again on sanctions against Russia. Firstly, [I] am pleased with the position expressed by the Prime Minister of Great Britain David Cameron, that the announced truce in Donbas will not affect the sanctions being imposed on Russia–unless it’s after the establishment of a comprehensive peace in Ukraine. Secondly, the EU might prohibit the state-controlled Russian oil companies to raise funds in European capital markets. A big hello to the boys of “Rosneft,” “Gazprom Neft,” and “Transneft.” This is a blow to the Russian sales of energy resources–the sacred cow of Putin’s empire. And although we observe that the Kremlin hasn’t really responded to the imposed sanctions, any body fat sooner or later melts away. Even from a fatcat of a Russian bear. This entry was posted in Dmitry Tymchuk, English, English News, Languages, News, Opinions, Regіons, South&Eastern Ukraine, War in Donbas and tagged #ArmUkraine, #RussiaInvadedUkraine, #SaveUkraine, #UkraineUnderAttack, David Cameron, Dmitry Tymchuk, Information Resistance, Matteo Rentsi, Milos Zeman, Minsk, NATO, OSCE, Ukraine. Bookmark the permalink. Reportedly, the ceasefire is already being breached by the Russian side. Gruesome latest reports say that a certain unit of the Volunteer Battalion Aidar was, maybe, deceived by some Russian troops into contact, leaving everyone of the unit killed in COLD BLOOD, sadly. So, the ceasefire everyone wanted for a long time is now a history. Leniency on the Ukrainian side toward such violations (or mockeries) of ceasefire will never be rewarded. Hopefully, the Ukrainian side will take necessary and decisive measure (maybe a diplomatic measure, if they like) to have the killers responsible punished. Reportedly, the killers are publishing the photos of the cowardly massacre in the internet. Fortunately, however, one of them is already identified by the internet community. So, the ceasefire is now broken. Such a massacre during this ceasefire was probably a premeditated massacre by the Russian side in order to “harass” the ceasefire. This is another attempt by the Kremlin to further the 6 months-long Guerilla Warfare in Ukraine. In the first place, I suspect, there was no such thing as a “new type war” called “Hybrid War” since the very beginning. Many people were deceived by the term, “Hybrid War”, unfortunately and were manipulated into a panic. But such a Russian Guerilla Warfare was never new. Hopefully, the international community will deal with the Russian Guerilla Warfare as such and will support Ukrainian side repel the aggressor sooner rather than later. And, hopefully, the Ukrainian side will have the war criminals above brought to justice. As for the harassing Russian guerilla attacks (terrorism, in another word), the Kremlin has always aimed to “harass” the peaceful civilians and the troops of Ukraine with hit-and-run attacks, here and there, murdering civilians and troops. Through such a harassment, the Guerilla Warfare of the Kremlin aimed to weaken the independent attitude and will of the people of Ukraine so that the Kremlin will again control Ukraine, just like before the EuroMaidan revolution. Hence, such an atrocity by a rogue unit of Russian troops, a German-Nazi style cowardly attack during ceasefire. Fortunately, at least one of the criminals is identified now. Hopefully, Ukraine will hold the Russian side accountable for the crime immediately. Chancellor A. Merkel of Germany, thank you very much for the latest atrocity in Ukraine. You did contribute a lot to create such war criminals by your ridiculous appeasements so far. Perhaps, your experience as a DDR (GDR, E-Germany) communist leader (as was introduced in the Twitter by the Brookings Institution President Talbott one week ago with your photo from 1972) helped you help the Kremlin gain more confidence. How low can you ever get? Hopefully, the German side never transferred any know-how to the Russian side before the suspension. Today, even France suspended the Mistral contract. I just hope other financial-military assistances for Russia from the EU will be scrapped already. By the way, in the first place, such a lucrative Russian-German international contract (maybe, this project was “too profitable to be a normal contract”?) was supposed to be strictly audited before it was initiated so that the international contract in question would not raise any doubt of “international bribe” later. It was never a new “tactics” for the Kremlin leaders at all to bribe foreign leaders since long time ago, as we already know from a wisdom literature the Kremlin leaders must love since the Soviet times (http://en.wikipedia.org/wiki/Thirty-Six_Stratagems, Chapter 4, wisdom 24). The blind Russia-appeasers like A. Merkel and others may never understand this but the so-called NewRussia statehood project today (of the Russian President Putin) aims to create a “land bridge”, of course. And such a land bridge is supposed to serves as a certain “corridor” for the Russian military to gain access to the EU border. Yanukovich’s Ukraine, a satellite state of Russia, ceased to exist last February. So, the Kremlin wanted to create such a land bridge to secure an access to the EU border. Crimea was not the goal, of course. Why did the Kremlin want such a thing? I don’t know, of course. Chancellor Merkel must know why. Still, the German Chancellor and her cabinet ministers focused on “money” too much so far. Now they are perhaps risking their own “national security” already. Maybe, Chancellor Merkel can not stop worshipping Russia and the failed ideology, the Stalinsm. So, she and her German leaders may destroy their own country soon. In fact, Ukraine is still burning, despite the ceasefire, as they can see now. In a democracy, it is not normal for a Ministry to attack news media and reporters for “unfavourable reports” unless there is ever a true violation of law. So, I would like the new Ukrainian Ministry to refrain from interfering in news reports in the future for good. It says that Germany itself is, in truth, in a dire need of “money” because of the so-called euro zone crisis. So, the German Chancellor has no extra money to help any other country today, I suspect, although she travelled to Kyiv and tried to mediate for Ukraine in August. Her “good will” in August was betrayed by the Kremlin very soon, of course, when President Putin sent his regular troops into Ukraine at last. Perhaps, her political career was finished back then already. If that is the case, I suspect, Germany and other Western countries have NO luxury of time, either. In a dire financial-and-military crisis like today, the EU and the US can not continue killing their time for nothing the way they did so far over Ukraine. Hopefully, the German government will also wake up today, following the example of the Lithuanian President, and make necessary policies to defend peace of the EU, so that the EU countries can block the obvious Russian “land bridge” to the EU before it finally emerges in southern Ukraine under the name of NewRussia.